Many thanks to the Houston Association of Realtors, who has named me one of their second quarter 2017 Top Producers for my work with real estate sellers. And thank you, also, to all my wonderful clients and friends who have made this award possible. 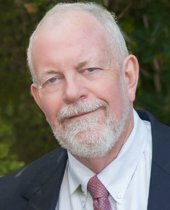 Many thanks to the Houston Association of Realtors, who has named me one of their first quarter 2016 Top Producers for my work with real estate buyers. And thank you, also, to all my wonderful clients and friends who have made this award possible. Thank you to the Houston Association of Realtors, which has named me a Top Producer for the first quarter of 2014. And thanks as well to all my great listing clients who made this award possible! Many thanks to the Houston Association of Realtors, who has named me one of their fourth quarter 2012 Top Producers for my work with real estate sellers. And thank you, also, to all my wonderful clients and friends who have made this award possible. Many thanks to the Houston Association of Realtors, who has named me one of their 2nd Qtr 2011 Top Producers for my work with real estate buyers. And additional thanks to all my great clients who made this award possible. Many thanks to the Houston Association of Realtors, who has named me one of their 2010 Top Producers for my work with real estate buyers. And special thanks to all my clients who made this possible. Thanks to the Houston Association of Realtors, who has named me one of their 2010 4th Quarter Top Producers for my work with real estate buyers. And many thanks to my wonderful clients, who made this award possible. Thanks to the Houston Association of Realtors, who has named me one of their 2010 3rd Quarter Top Producers for my work with real estate buyers. And many thanks to my wonderful clients who have made award this possible. 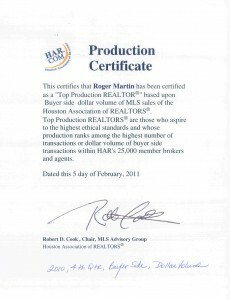 Thanks to the Houston Association of Realtors, who has named me one of their 1st Quarter 2010 Top Producers for my work with real estate buyers. An many thanks indeed to the clients who made this possible. Thanks to the Houston Association of Realtors, who has named me one of their 2009 4th Quarter Top Producers for my work with real estate buyers. and as always, thank you to my wonderful clients who made this award possible.